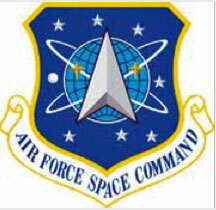 Air Force Space Command will conduct the 11th Schriever Wargame at Nellis AFB, Nevada, starting on October 13, 2017. The Schriever Wargame, set in the year 2027, will explore critical space issues and investigate the integration activities of multiple agencies associated with space systems and services. Schriever Wargame 2017 (SW17) will include international partners from Australia, Canada, New Zealand and the United Kingdom. 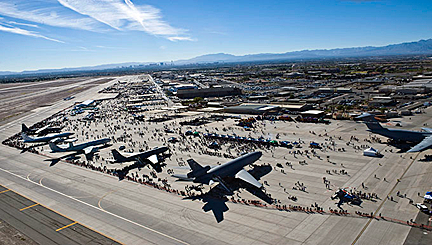 The USAF's Nellis Air Force Base in Nevada. The SW17 scenario depicts a notional peer space and cyberspace competitor seeking to achieve strategic goals by exploiting those domains. It will include a global scenario with the focus of effort towards the U.S. Pacific Command (USPACOM) Area of Responsibility. The scenario will also include a full spectrum of threats across diverse operating environments to challenge civilian and military leaders, planners and space system operators, as well as the capabilities they employ. The Schriever Wargame Team will conduct this Wargame on behalf of Air Force Space Command, headquartered in Colorado Springs, Colorado. Approximately 200 military and civilian experts from more than 27 commands and agencies around the country, as well as from Australia, Canada, New Zealand and the United Kingdom will participate in the Wargame. U.S. commands and agencies participating in Schriever Wargame 2017 include: Air Force Space Command, Army Space and Missile Defense Command, Naval Fleet Cyber Command, the National Reconnaissance Office, Executive Agent for Space Staff, Air Combat Command, Office of the Secretary of Defense, U.S. Pacific Command, U.S. Strategic Command, U.S. Special Operations Command, U.S. Northern Command, Defense Information Systems Agency, the Intelligence Community, National Aeronautics and Space Administration, Office of Homeland Security, Department of Transportation, Department of State and Department of Commerce.